Raw bar deals, must-try meals and oyster farm tours: This comprehensive guide dishes on Rhode Island's favorite bivalve. Fried oyster tacos from Midtown Oyster Bar. 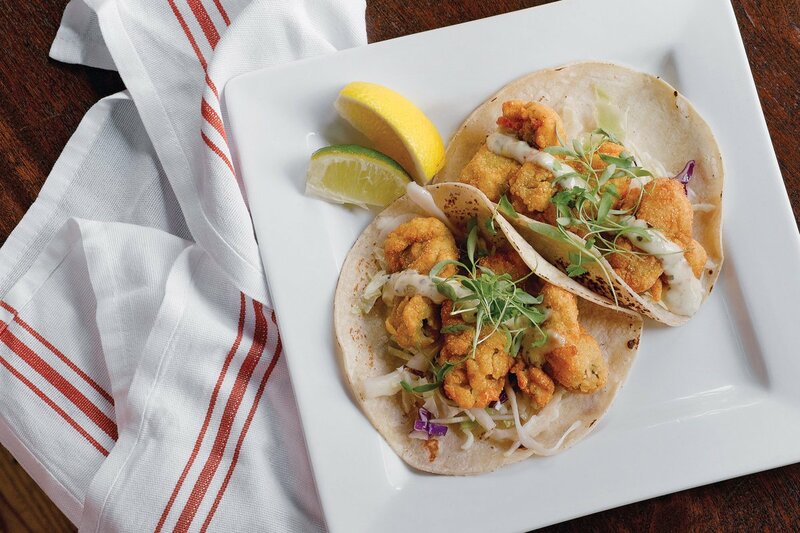 A pair of corn tortillas arrive piled high with several plump and crisp fried oysters complemented by the crunch of napa cabbage slaw drizzled with remoulade. Squeeze a fresh slice of lime or lemon for a touch of acidity with every bite. 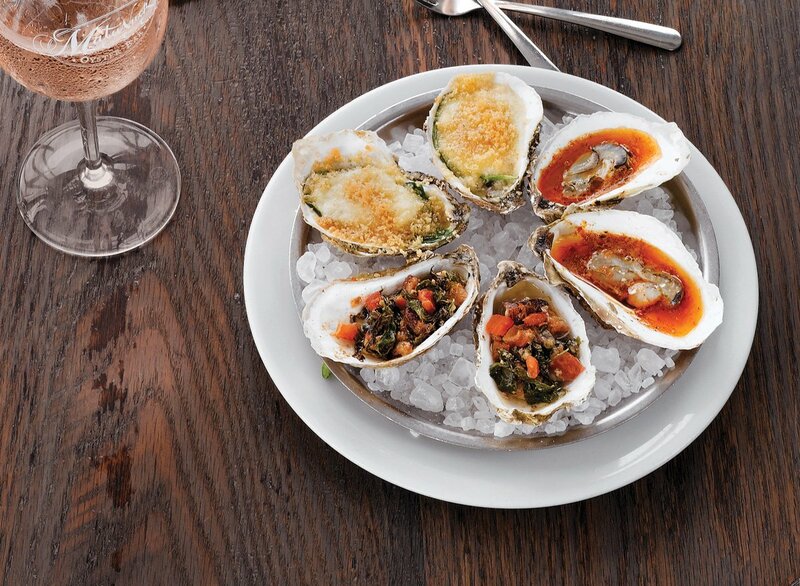 Oysters are at their best during the holiday season, so why not clink shells instead of glasses? Walrus and Carpenter Oysters has a farm share, also known as a CSA (community supported aquaculture) for pickup in Providence. Between Thanksgiving and New Year’s Eve, the farm has scheduled dates and a location where you can score dozens of shellfish for your holiday party. The bivalves are harvested and in your hands in less than twenty-four hours, and they might even teach you how to shuck them. Find dates and location at walrusandcarpenteroysters.com. Oysters Trio from Matunuck Oyster Bar.